The Barcodes are not a simple and straight forward blues outfit. They mix blues and jazz to produce their very own instantly recognizable sound. A good listen after midnight. We need more bands like this! They are exceptional and the level of musicianship is excellent. 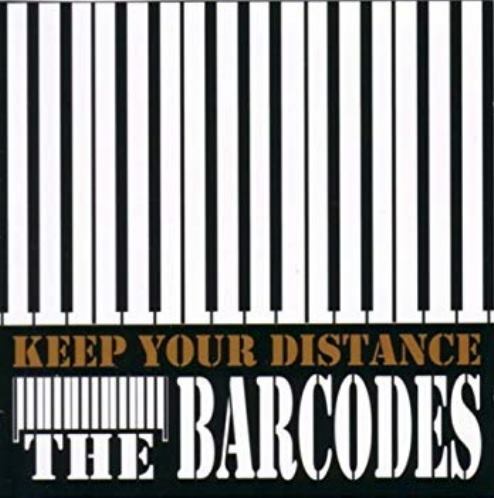 That over half of "Keep Your Distance" consists of originals, indicates this R&B trio's willingness to mine less common areas of the blues and deliver danceable executions of Ray Charles and Sonny Boy Williamson influenced tunes, affirming the great staying power of their music. Alan Glen (played with the Yardbirds) is a fine harp man, the guitar is smooth and the drums drive the proceedings along with sensitive force. 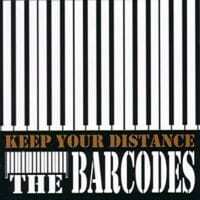 The Barcodes are a true blast of fresh air in a day when, all too often, music and musicians are pretentious. The Barcodes' sound is clean and as refreshing as a mountain stream. Each musician has an incredible feel for his personal instrument, knowing how to turn a phrase into a unique masterpiece. Each song is an exciting experience which one wishes would never end. "I Got News" has a smooth jazz sound via some nice accentuations from the electric guitar, keyboard, and saxophone. The solo presentations from these instruments are very colorful expressive exhibitions of refined talent. The vocals are soulful with a blues essence and filled with a vibrance that the lyrics merit. Nick Newall, not an actual member of the Barcodes, lends his impressive saxophone work to color "Barcodes Theme." With a jazz big-band quality, this instrumental has a strong dance beat and some fanciful instrumental solos with an improvisational quality. The band has a good clean sound, which adds to the charm of "Barcodes Theme." The Barcodes close the album with a marvelous interpretation of the Sonny Boy Williamson classic, "Eyesight to the Blind." Alan Glen displays that he certainly brings to the guitar all the melodic abilities he has with his harmonica skills, which he also displays on "Eyesight to the Blind." Bob Haddrell's fine keyboard work shines throughout the song, with some multi-layered phrases. Dino Coccia's spiced-up percussion work kicks up the groove a notch or two, lending to the dance quality of the piece. The Barcodes are a unique trio with a jazz essence that contains elements of blues, rock, and many times pure musical genius. Haddrell's foot-pedal bass riffs certainly maintain the rhythm section's strength as well as any bass guitarist could. He contributes to more than one part of the Barcodes' sound, doing bass, piano, organ, and vocals, and filling in any pocket he feels needs to be filled. Alan Glen gets the opportunity, much to the pleasure of the listener, to show his ability on the electric guitar. Glen more than aptly has shown on this album that he is a jazz and blues guitar virtuoso who has something unique to offer. He also serves up some of his sharp harmonica chops and vocals to spice up the mix. Dino Coccia, as with way too many drummers, is a member of the band who is the backbone and the strength in the structure of the songs, but seldom receives the praises deserved. Coccia is a talented musician who brings to the band the strong foundation that allows for the instrumental and vocal expression the band attains. Whether a jazz or blues fan, this is one album that should not be passed up.